Heaven is a little more crowded today and St. Peter had to say "What? Could you repeat that? 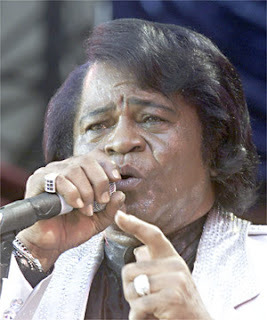 I’m sorry I don't understand you..." before enduring the whole “cape thing” at the Pearly Gates yesterday after the death of the James Brown, Godfather of Soul. Incidentally the infamous gangster Jae Kim Sun, pictured below, lives on in South Korea as the Godfather of Seoul. Brown was a musical force for close to 6 decades and his influence will live on forever. His death will cause a ripple effect in music for years to come, not the least of which is that the "Hardest Working Man In Show Business" is now technically Weird Al Yankovic. 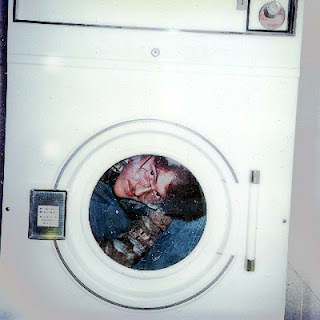 Here he is pictured riding in a clothes dryer. His new album is called "Straight Out Of Lynwood" and you can buy it HERE. fakir- santa forgot you, huh? If it's Christmas, and no one watches the news to find out that you're dead, does it count? I was the only person that seemed to know anything about his death. It was kind of odd. is Fakar selling something? WTF? Do I need to delete that thing? Also, no love for the "Godfather of Seoul" line?